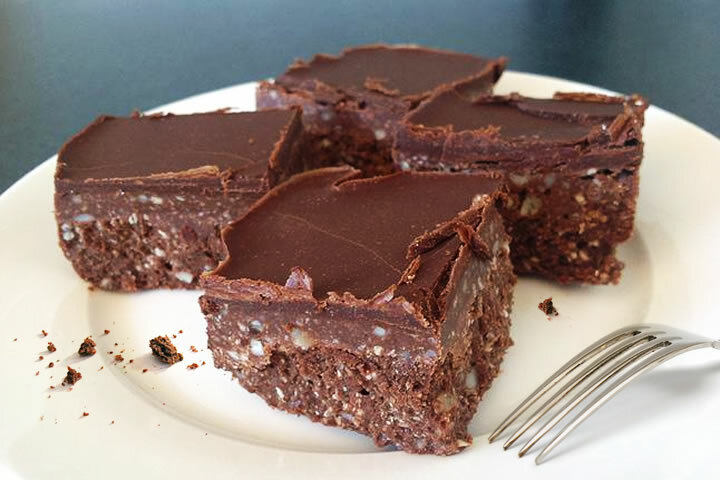 Angela: Another great healthy recipe, this is a protein-packed, superfood take on the common raw brownie. Great as a snack, dessert or a quick breakfast meal when busy and in a pinch. Mix all ingredients together in a medium bowl. Place in a baking tray lined with baking paper. Freeze for an hour. Blend all ingredients well. Pour over base. Freeze. Defrost half an hour prior to consumption. I made them recently and they are absolutely YUMMY!!!! Just wondering if there is a good substitute for coconut oil ? Hi Belinda you could try melting Cacao butter and using this instead of coconut oil. 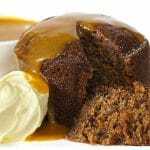 Or if you do not mind adding more natural sugar to this recipe soaked medjool dates would work. What would the carb count be for 1 of these? HI Janine. We don’t have the carb count. The carb content will depend on the size of your slices. If you want to know the carb content, I’d suggest you count the overall carb content of the size of the brownie you make, and then divide into the number of slices you want to meet your carb needs.